The last Community Dinner of 2018 will feature a new chef to our crew at 18 Reasons, Justin Fertitta. You might have attended his Chicken Butchery and Cookery class in September, where you may have cooked and nibbled on spicy ginger chicken wings while listening to Justin's tips and tricks. For his first Community Dinner, Justin chose to make bun cha, thinking we might need something refreshing after our heavy Thanksgiving meals. 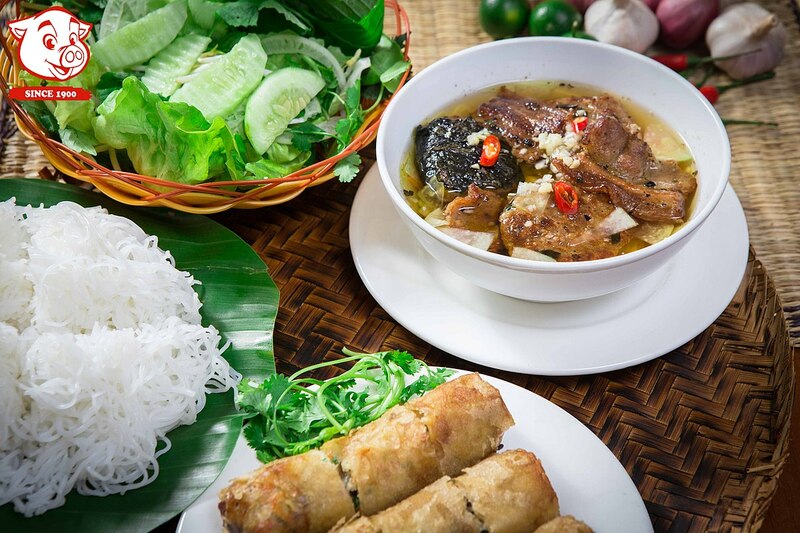 He chose bun cha to pay homage to Vietnam, Justin's favorite place in the planet. He has many fond memories of slurping a bowl of bun cha as a late morning breakfast to begin a day's worth of food adventures in northern Vietnam. Whether or not you've had the chance to travel to Vietnam, we hope you gather around our dinner table, enjoy a meal to close out 2018's series of Community Dinners, and meet one of our new teachers. *The menu can be made vegan by omitting the sausage and swapping for a vegan "fish" sauce. Please email info@18reasons.org if you need a vegan plate, so we make sure we have enough!